Chinese New Year - Make Some Noise! This weekend is full of amazing events in Manchester for Chinese New Year. As it is also the school holidays, parents might be looking for fun ways to entertain children and luckily, there are lots of great activities on offer. Come along and Make Some Noise! Taking place at the Centre for Chinese Contemporary Art in Manchester City Centre is a fun, family-friendly activity which will keep you and your little ones entertained. Make Some Noise! is an experimental workshop where you will learn all about sound. You might be used to telling your children to make less noise, but not at this event! 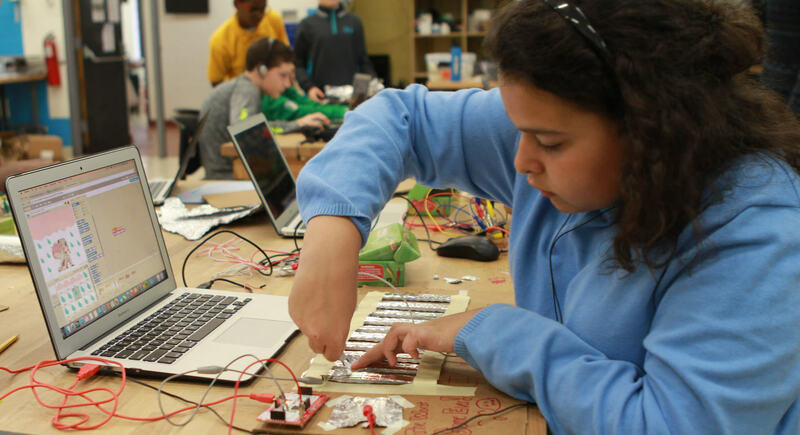 On the day, you can use a tool called Makey Makey which connects the sounds objects make to a computer programme to create a collection of sounds from everyday life. Each object will be added individually and at the end of the event, all the sounds will be put together to see what noises everyday objects can create. Objects to use are provided but participants are welcome to bring along items they would like to be included too. Children will love this fun, creative event which fuses technology with ordinary objects. It is definitely a different type of activity to get involved with. Your children will go back to school with fun stories to tell about this workshop! The day is all about exploring the science behind sound and how to use digital technologies. The day is great for children ages 8 years and over and costs £4 per child, which includes refreshments. Adults are allowed to join in for free. You can book a place online or call 0161 832 7271. Email hello@cfcca.org.uk for more details. The workshop will be at the Centre for Chinese Contemporary Art on Thomas Street in the Northern Quarter. This is a wonderful location to explore Chinese art and culture and has exhibitions on in the gallery space all year. This fun event will take place on Saturday 17th February from 2pm until 4pm. Why not come along and then check out all the other great Chinese New Year activities taking place in the City Centre.